Vacation in the Poconos Mountains for less with a Split Rock Resort & Golf Club timeshare resale or rental. Shop the inventory at SellMyTimeshareNow.com and uncover savings up to 70% off retail. What’s My Split Rock Resort Timeshare Worth? Split Rock Resort in the Poconos is the ideal outdoor escape for families of all interests. With a wide range of amenities offering both adventure and relaxation, you'll thoroughly enjoy this well-rounded resort destination. The on-site campus features enough for a fun-filled vacation including a massive indoor water park, 27-hole championship golf course, movie theater, arcade, swimming pools, lake activities, sports courts, and massage services. Nearby, you can take advantage of the great outdoors and participate in hiking, skiing, biking, boating and other watersports, skating, snowshoeing, and so much more. You'll have to visit Split Rock Resort for yourself to see how much there truly is to do! 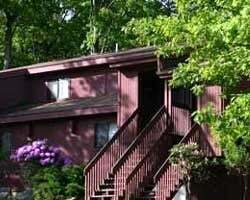 A wide variety of units are available to vacation in at Split Rock Resort. Some offer beautiful views of Lake Harmony, and many provide full kitchens or kitchenettes, living and dining areas, pull-out sofas, and private bedrooms. 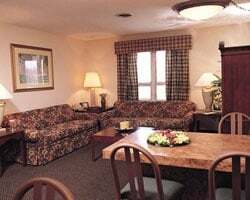 These suites accommodate two to six guests depending on the size and style. Some of the rooms are also located conveniently by Town Center so you have easy access to the indoor water park, arcade, movie theater, and bowling alley. Start planning your Split Rock Resort PA getaway today. Fill out the form on the right side of this page or contact us directly by calling 1-877-815-4227. 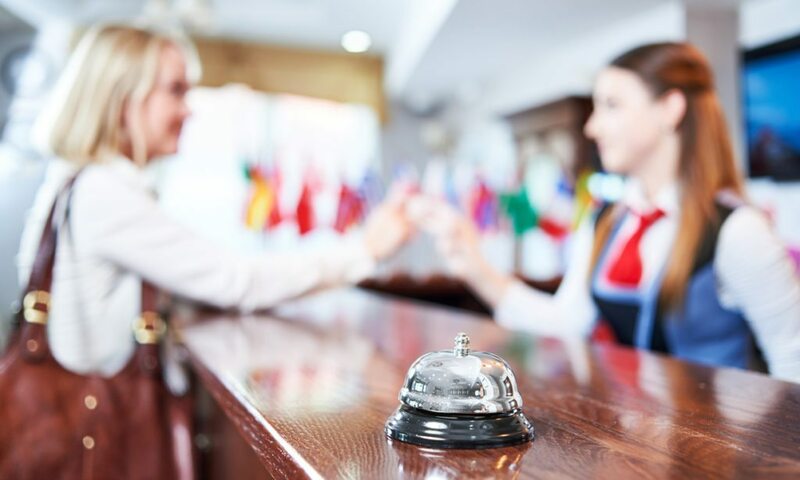 One of our knowledgeable timeshare specialists can assist you in finding your ideal resale or rental unit. Vacation at Split Rock Resort in the Poconos every year for a price you can afford when you purchase through the resale market. Here, you'll find an impressive selection of by-owner advertised timeshares with prices up to 70% off developer rates. This is because owners price their timeshares based on their true market values and don't include the add on's like sales commissions, taxes, and hidden fees that resort developers charge when you buy retail. This allows you to enjoy timeshare ownership for thousands less! Our inventory of Split Rock Resort & Golf Club resales features deeded fixed and floating weeks with annual and biennial usage within the Red, Yellow, or Green ownership seasons. This variety of inventory allows you to choose not only how often you vacation, but how you vacation. Buying a fixed week allows you to lock down your desired travel week each year, whereas a floating week allows you to make a reservation with your choice of multiple weeks within your season of ownership. Split Rock Resort is fortunate enough to be affiliated with the world's leading external exchange company, RCI. As an RCI affiliated resort, Split Rock Resort timeshare owners can purchase an annual membership and gain access to RCI's comprehensive and affordable exchange services. Once you're a member, you can easily deposit your timeshare week with RCI and browse their extensive portfolio of resort affiliates for a new and exciting place to vacation. RCI has a network of thousands of top-rated vacation ownership resorts located in the most desirable destinations across the world. RCI allows you to make the most out of your timeshare ownership and travel the globe! Split Rock Resort offers an incredible resort campus set in the natural beauty of the Poconos Mountains. 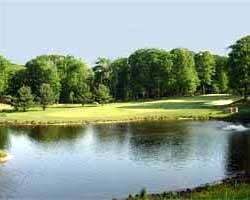 Here, you'll enjoy everything including the 27-hole championship Split Rock Golf Club, H2Oooohh! Indoor Water Park, an on-site movie theater, cosmic bowling, 18-hole miniature golf course, scheduled daily activities, the Redemption Arcade, boating and other activities on the lake, hair salon, Mountain Massage, fitness center, indoor and outdoor pools, a variety of sports courts, and ATV rentals for riding through Split Rock's wooden paths. There are also eight different dining options on-site from pizza, to breakfast buffets, taverns, and lakeside bars, all of your tastebuds will be satisfied. Lake Harmony is also a fantastic four-seasons destination with plenty of local activities to participate in. Nearby you can visit the Pocono Raceway, discover live entertainment, check out one of the many local festivals, or enjoy skiing, hiking, biking, boating, snowshoeing, shopping, and so much more! Already Own at Split Rock Resort & Golf Club?